The first time I saw this Cajon drum is during a performance by a band in a shopping mall. The band uses keyboard, guitar, violin and a Cajon. I though that box is actually a digital drum kit. And they were playing pop music. But later I found out that it is not really what I thought it is. I am not planning to buy a drum kit yet, but a Cajon box might be good for now. But I'm worry if it can be uses as drum. Can I achieve such effect? The playing technique is different than for a full drum set, so it will probably not work as a "training kit" before you get your hand on a drum set. But if you are just looking for a rhythmic instrument that can provide a wide variety of rhythmic sounds in a band, the Cajon will probably be a good alternative. At the end, it also depends on what type of music you play. 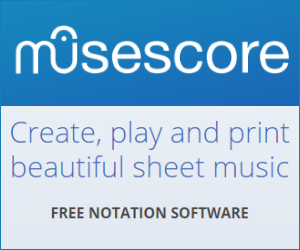 If you try it you will find out if this suits your music. It can even become the "little extra" that makes your music unique and different from others. Cajon is a good if you're a good "hand percussionist" and have experience with Darabuka etc - the co-ordination is different to that of using sticks. Some of them seem quite treble-y but you can get a decent bass of a good one. We had a Cajon player in our "gypsy" band and it worked a treat mixed it with a cymbal and cowbell for added oomph as it really kept the beat going. Maybe also consider a "Gigpig", which is something in between. 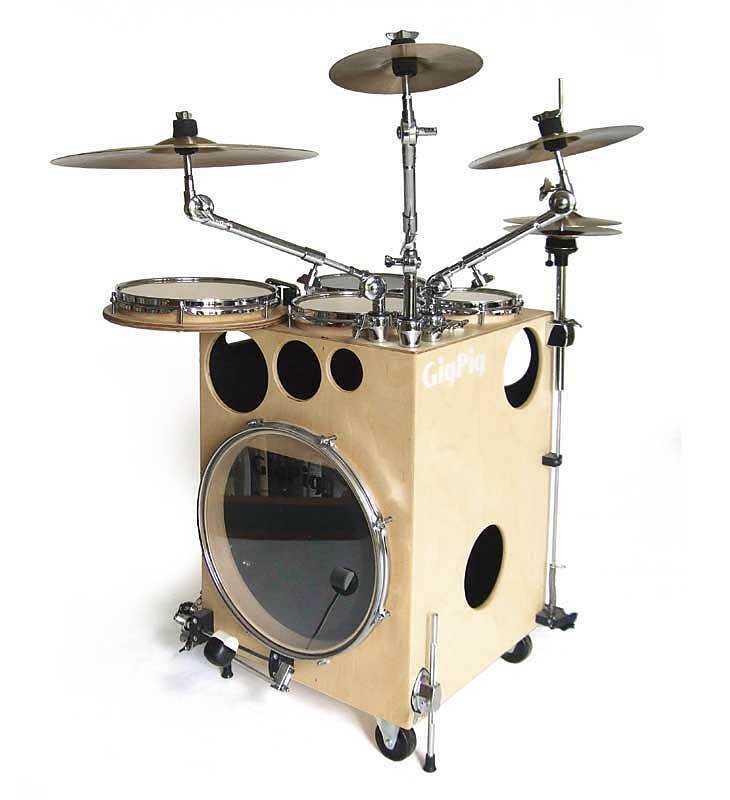 A GigPig drum set is a finely crafted instrument that is highly compact and portable. I am a cajon player/DIY cajon maker. I hit the tapa with right hand, and shaker/little tamborine with right hand. Foot tamborine too. It is good for small meeting room. Put inside your car boot, bring it anywhere you like. The reason I will use shaker, as the wood box still needs sharper pitch to go with. Definitely yes. Nowadays there are many extensions that can be added to the cajon-based set. There is a multitude of cajon pedals, which produce a beautiful natural and soft bass sound. Things like foot shakers, cabasas, and tambourines can be used with the second foot. There are percussion stands that attach to a regular bass pedal and mount a percussion instrument (i.e. Meinl PM-1), be it a cowbell, tambourine, cabasa, or pretty much anything else. Snare can be added to the set, mounted on a stand. Here you can choose a "real" small snare like Sonor Jungle, or a wooden "snare". Some cajons also have a snare inside and produce a nice organic snare-drum sound anyway. Additional percussion, like blocks, cymbals, hi-hats, etc. can be either mounted directly on a cajon or on an additional stand. So, yes - you can create a set based on cajon, which behaves pretty much like the real drumset from the perspective of limb coordination and practice. And it can also have a wide range of tones it can produce. Not the answer you're looking for? Browse other questions tagged drums cajon or ask your own question. What can I do if I want to work the kick pedal on Bass Drum with my heel? Cajon Tapa Thickness For Kick Pedal Only, No Hand Use, No Snare? What kind of wood is 'Lava Burl' in Cajon?